What is it about this big, loud, ugly American machine that makes it so entertaining? 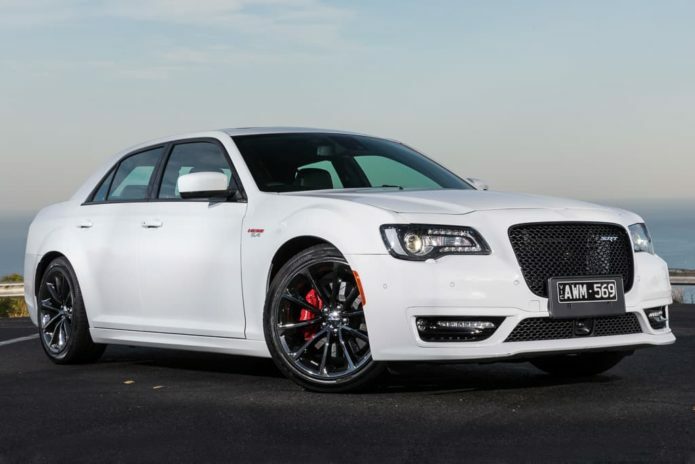 The Chrysler 300 SRT may be a 282km/h weapon but it’s still a big and comfy cruiser. Priced at $75,000 the American street machine lopes along with a languid gait, the big, welcoming leather seats, premium stereo and cooled cup-holders making it a lounge room on 20-inch wheels. Unlike the Holden Commodore, Ford Falcon and diplodocus, it’s not yet extinct either. Is there still a market for rear-drive large cars like this? Not really, but the NSW police have helped prolong its life in Australia – and that makes us happy.